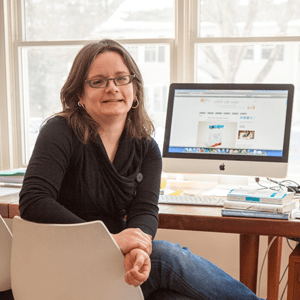 As Director of Artist Relations at 20×200, an online art market, Carrie Strine is involved with the business of art all day long. 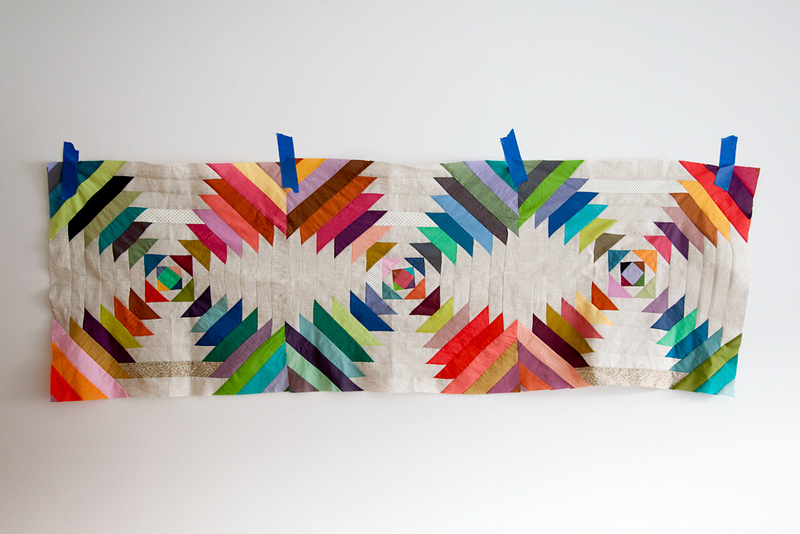 In her free time Carrie is an exceptionally skilled quilter. Her textile work is meticulous and beautiful and although she could build a business around it she’s made the conscious choice not to. Carrie is certainly not alone in her desire to keep craft personal. That desire can be a hard sell today, though, especially when the people around you know that in a matter of just a few minutes and at very little cost you can set up a shop online and be in business. That sense of personal relationship and meditative relaxation that comes from crafting is a feeling that many makers feel they need in their daily lives, and would lose if they began selling the results of their making. 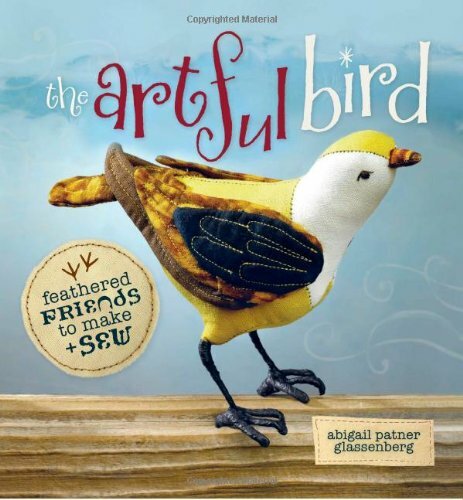 Many crafters relish using fine materials, or focusing on a more unusual or unpopular design. They’d rather choose materials and subject matter based sheerly on their own love and enjoyment, rather than focusing on trends and figuring out a cost basis. 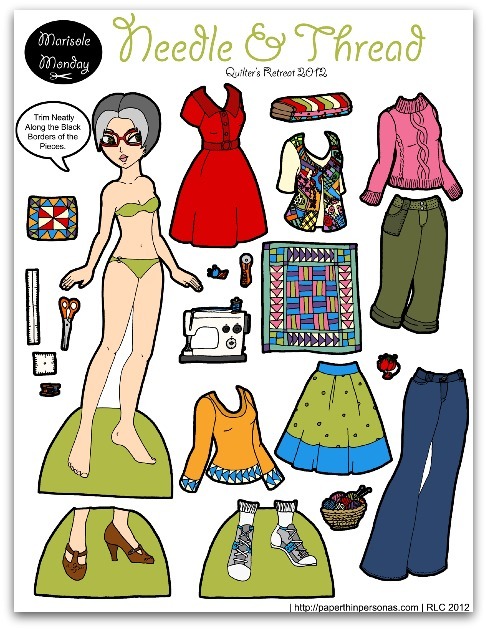 Lorraine Teigland designs sewing patterns and cardboard projects, documenting her work on her blog, IkatBag. Although she sells some patterns and has been published a few times, Lorraine feels that the push of a marketplace and a set of deadlines can hamper the satisfaction that comes with creative expression. Although it’s true that sites like Etsy have made it very easy to start a business now, Lorraine says that with that ease comes additional pressure. Rachel definitely feels some of that fear. “What if my work isn’t worth to the public what I think it should be worth? If I’m charging money, than don’t I owe my customers nothing but my best? How can I do my best all the time?” Although she might one day like to begin selling her paper dolls as a business, these feelings of doubt are a stumbling block that she’s not sure she wants to overcome. Our relationship to the things we make changes once we begin to sell them. What was once an entirely personal, meditative act becomes public and driven by motives that aren’t entirely our own. 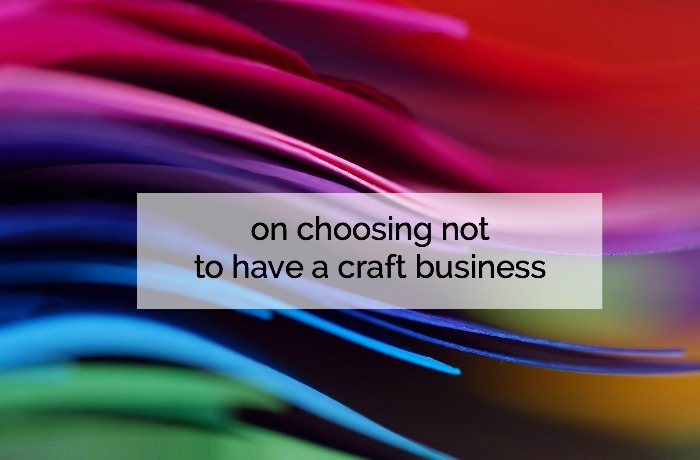 Even in a day in which setting up a business is quick and painless, for many crafters doing so would be an unwelcome shift. I get that a lot from friends “You should sell these!”. And while I understand that I COULD sell what I make, that doesn’t mean that I SHOULD. Right now I just enjoy making what I want when I want, and enjoy giving away what I make as gifts. I don’t want to worry about costs and the perfect lighting for photographs, etc. Thank you for this post, it is everything I feel and think about this topic. Thanks for this. As can be seen from the pictures, the work produced is totally of a standard that could be considered professional and the equal of anything I have seen on etsy and would certainly sell. I understand the reasons for not doing so. Truth be told that is at least in part how I feel too, yet I do sell. I think too often validation is found only when we can put a monetary cost on everything. Sometimes it really is nice to keep things just for us, which means sharing as and when we want to and not because we have to. Lots to think about! I think external validation is a big part of sharing, and selling, things Sara. Thanks for raising that point. I think this post could have been almost the same words but written about choosing not to monetize your blog. Interesting topic for sure and I love ikat bag so enjoyed her perspective. Yes! That’s perfectly true. A blog is just like a craft in a way. It’s a public written diary and, if it’s a craft blog, photographic diary as well. Do we want to turn that into a pro-blog? If we’re really good at writing, crafting, and taking pictures but we don’t want to make our blogs into a business, is that a bad thing? You raise such a good point, Melissa! This post totally resonated with me. While I don’t think that everything I make is good enough to sell, I feel pressure every time I do make something because I’m a stay at home mom who loves making all kinds of different things. The pressure is that because I’m just “lounging around” (yeah right!) at home I should be doing something to bring money into the house. The things I craft I do because I love it and I love making things for my children and other people. Good example: I started making hair accessories for my daughter about 4 years ago. I LOVED it! I liked trying different ribbon sculptures and making my own flowers, etc. It was suggested to me I should make a business out of it on Etsy. I’m sure you’ve seen how many hair accessories shops there are! Once I started looking into making it a business, I literally lost all interest in making them. The thought of producing more than one of the same kind of bow over and over ruined the enjoyment of making them. Not to mention trying to compete with the other shops out there. I haven’t made one in about 1 1/2 years, which is a shame because I loved challenging myself to try something harder every time. Gosh I hope that looking around on Etsy at what everyone else is doing in a particular craft doesn’t feel too deflating to people. It’s so easy to just get uninspired to even try once we see that other people are doing more of something than we are, or at a more advanced skill level, but that by no means should make us give up. In that way the internet has made it harder to be a crafter, not easier! Monica, I thought this was a very personal comment and thank you for sharing it, because I have sometimes wondered how many people have found themselves, at one time or another, overwhelmed by the sheer number of crafting businesses (of all sorts) that you find on Etsy or on personal websites. And thank you, Abby, for your thoughtful reply. As a person who is very new to this exciting and, at times overwhelming, blogging/social media universe, I have been doing lots of thinking about crafting businesses and also the purpose/significance of blogging. I have been reading blogs for years (as well as buying from crafters) and have been inspired/thrilled/excited often by the things people are making and doing and how they are publicly recording and sharing it. Now that I am seriously considering what direction I want my art (and business) to go in, I do sometimes find myself deflated (your choice of word here was a good one) when I see what everyone else is doing. It can be challenging to stay focused on what you love, what your goals are, and how to best achieve them from the place you are. Your blog is a wonderful resource for many things, one of which is the many posts, like this one, that ask engaging questions that I expect many of us are thinking about, but find difficult to say out loud. I totally get where these crafters are coming from. I sewed window treatments as a business for several years and not only was it stressful to know that someone was paying me so I couldn’t mess up — but it took away my favorite way to relax. I always had some customer project spread out in the sewing room and couldn’t sew or quilt for my own enjoyment anymore. Friends often tell me I could or should go into business. I think it’s mostly just a way to compliment my work, to say that people would pay for it. Because it makes no sense whatsoever for me to do that– I already have a great job that is challenging, pays well, has great benefits, etc. A while ago I saw a question on a website that asked “if you could quit your job and be an artist (musician, painter, writer, whatever you like) and make the exact same amount of money that you earn now, would you do it?” Every single person who had commented said Yes, I would, or I already have quit my job to be an artist even though I make less money. Except me. My answer was, I have the best job in the world! I don’t want to change a thing except the weather and losing 20 lbs, but I can’t *really* blame the job for those issues. Anyway, I enjoy making nice things and I’m glad my friends think highly of them, but I don’t want to change what I’m doing. Besides that, like others have said, I want to make what I want to make and on my own timeline, not what the customer wants and when the customer needs it. This is a great perspective to add to the conversation, Justine. When I was a middle school teacher I felt the same way that you do. I loved my job and I loved to craft as a hobby. It worked so well for me! And I agree that often people say, “You could sell those!” as a way to validate and compliment your skill level and that’s a very nice thing and doesn’t actually mean you should quit your job and start a craft business. I feel this way but with a bit of a caveat. I have to get rid of the stuff I make in order to enjoy making additional stuff. I used to feel it at a local store and that worked well as I did not have to have any certain quantity or style. Now that they have closed that business, I guess it is back to etsy! Just can only keep so many leather bags in my closet. For a while I have been working toward the conclusion that my own business is not a practical pursuit for me. I have dabble on Etsy with making things from fabric that I had on hand for a while and made a little spending money. (I have been a stay at home Mom and Grandma for years, so that seemed nice). But I didn’t really enjoy the pressure that I needed to do a near perfect job of sewing on these projects. I came up with a pocket on my reversible bags that I haven’t seen elsewhere, but that feature has not gotten any notice. I have a Spoonflower shop and I just love (I am addicted to) fabric design. Spoonflower seems like a small community and it is hard to comprehend that there are thousands of designers with shops now and lots of competition. I love the challenge of the contests, though I really don’t have enough talent to do well. I sell just enough to keep me from quitting. I can sell there without doing anything but designing, proofing and marking designs for sale. I have a big hangup when it comes to bookkeeping. Filing taxes for the family business involves having a professional do it and he charges by the page. If I needed to file, too, it could very well mean spending more than the little I make. It doesn’t make sense to even try any more. I haven’t listed new on Etsy since my camera broke and I would have to ask others to take the photos. Oh, I did do some digital files on Etsy until the VAT issue came up (no sales anyway). My stock can go for gifts to family. I get my external validation from the Alaska State Fair, friends, and family. I had an Etsy shop for a bit but found it so difficult to sew on product after working 10 hrs a day. The last thing I wanted to do was “work” until bedtime on a second job. My compromise was to enter my items in the fair. I get feedback from the judges, pats on the back from friends & family, and then I can give away “An Alaska State Fair Blue Ribbon Award winning _____”. Everyone is happy. Of course the only problem with this is that I am not making any money on my items. But that’s why I work a full time job, with benefits, to support my fabric addiction. Thank you Abby for all the great info, websites, and thought provoking subjects. I look forward to every post!! 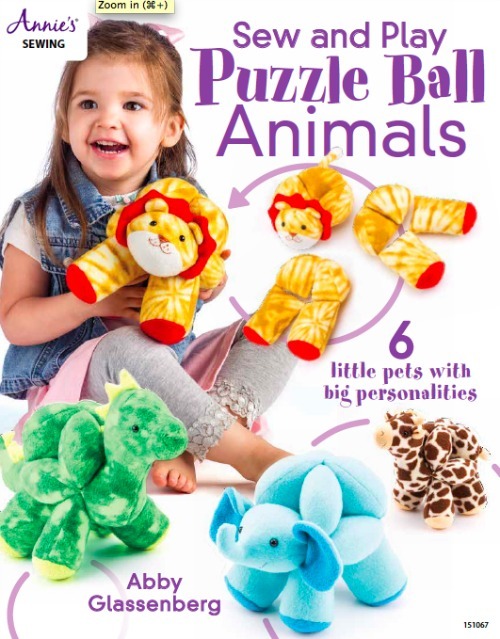 Oh, and I LOVE the stuffed animals! You’re so welcome, Wenonah, and congratulations on your state fair success! Thank you for this post! It is very timely for me, as I was seriously considering opening an Etsy shop. 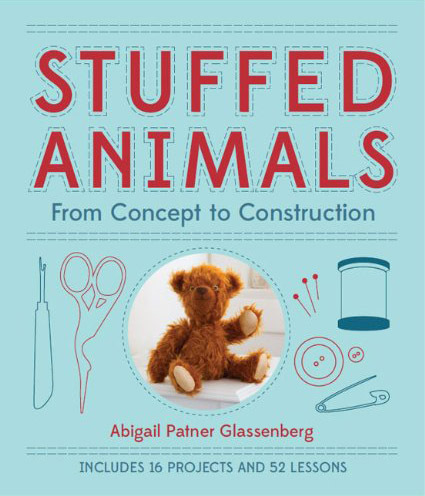 I love to sew for my family and my little granddaughter, particularly felt food and toys (including a couple Abby Glassenberg patterns). I had made a really cute Valentine felt cookie set (not that I’m the only one) that I felt would do well on Etsy. Then I had to start thinking of how many I should make, how to photograph it, how to package it, what to use for labels, what to charge, how to ship, and all the fun disappeared. I want to enjoy making these things, not do it because I have another order to fill! I want to see my granddaughter’s face light up each time I come up with a new creation for her. I, too, have heard, oh, you should sell these. I think not, it gives me joy and relaxation. I’d like to keep it that way! And you absolutely can! Feel good about the fun of making and giving. Not everything has to become a business. I enjoyed reading this post as much I did the conversation that follows it! Like many of your readers, I too have a day job (art teacher) and I love to create a multitude of things at home. Being a painter and a quilter defines who I am. I have been told many times to sell my paintings, but I know I could not possibly charge the value I know I my work is worth or I would be insulting my worth. I once saw a painting in a gallery, similar but not as nice as mine, on sale for $2800. Now I have that figure stuck in my head as the lowest I would every accept for a painting that takes me months to complete and I put my heart and soul into creating. Whereas I dream of living off my artwork, situations like this always come up…a friend at school asked me to paint a portrait of his dog and I ended up gifting it to him instead of asking for a price that I knew was in his budget. Not starting a business for art can also be because your art is too personal for business. That’s a great point, Barbara. There are definitely aspects of art or craft that are highly personal and therefore really aren’t meant to be put up for sale. A co-worker and FB friend crossposted a link to this article, which addresses this issue as well. Reading this article made me feel so relieved that others feel the way I do about their sewing and crafting! I thought I was the only one. The pressure to monetize my creative output feels huge, and I often hear “You should sell that!”. I know people mean it in the nicest way. It is hard to explain quickly why I don’t, and I am not sure they understand. Thanks for the support. I find that pressure to monetize to be really fascinating and I think it has only increased with the ease of setting up an online shop now. I loved reading this post and the comments. I’ve thought about it so much in the past few days, that I had to return and leave a comment. I think you articulated something that many makers (crafters, bloggers, artists) feel but some can’t quite put their finger on. I also have toyed with a craft-based business (since I became a stay at home mother) but like some of the other commenters just haven’t found myself ready to focus clearly on a product that is marketable, yet I will love making many times. Either I love exploring the possibilities too much, or I haven’t found the right craft, or like the other commenters I just like the freedom and adandon of making for no other reason than the joy of the process. Also, I totally agree wth Melissa H about how this applies to blogging too! I’ve had to stop beating myself up aobut not blogging the ‘right’ way and just enjoy it! I feel so much better reading this article. I’ve struggled for years about making that step (tried it a few times before I knew what I was really getting in to!) but could never fully commit and now I know why. I love creating. Period. On my terms and my time. And no matter how great the reception is from others about what I create, I would lose that love I have for creating if it became a MUST. Sometime, starting a craft business is not for everyone and that’s OK. Great post Abby, but then, you know exactly what we need to know and hear when we need it! Thank you. I had the same feeling years ago as a high school student. My art teacher thought I should go to art school, but I didn’t. I am now doing more art than I did in school. I do it at my own speed, though I do sometimes like the challenge of contest deadlines at Spoonflower. I do sell my crafts, and so much of what is said in this article resonates with me. I absolutely love making what I make, but I DO feel extra pressure. People never seem to want exactly what I list online…they always want it customized in some way….which you think I wouldn’t mind because I love being creative, but it makes me feel like a factory a little bit. Also, because I love being creative, it does get boring to make lots of one specific thing. I’m always changing fabric patterns and adding new products because of that, but it starts to get overwhelming and confusing after awhile. 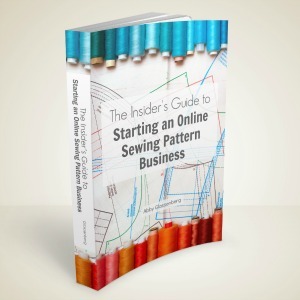 I’ve though about shutting down as a business, but I know that I would never want to atop sewing. I know exactly what you mean as I have worked for myself and now I am an art teacher. Even with my job, working with children, I can feel static and wish I were doing something else with my time. For me, each day is different because the students surprise me with their interpretations of my projects, but as an artist, I wish I had more time to myself. I was never a good businesswoman, as Abby is, and could never make my art happen as a career. I do appreciate my regular paycheck now and try to find the creative drive to keep me going in my free time. If sewing is what you truly love and you are successful at making money with it, then keep at it! Your reward is when you have time to do something special for yourself. 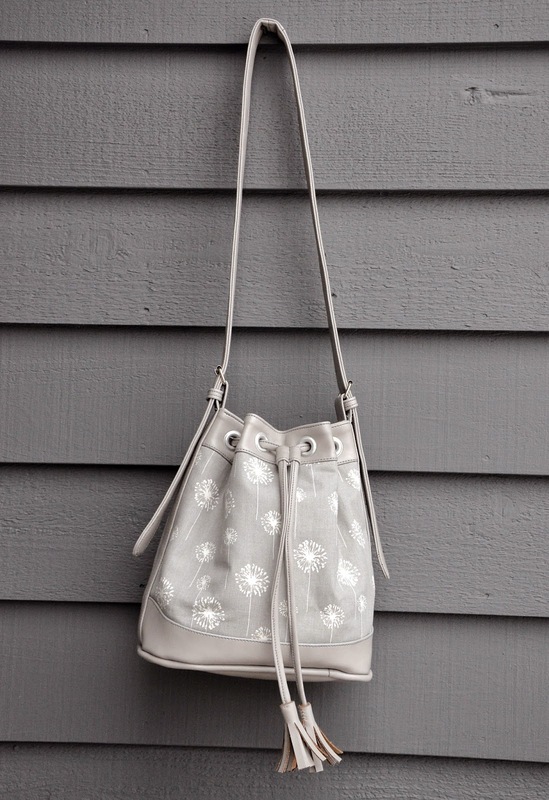 Plan out one day a week that you sew just for yourself. How exciting if one of your new ideas becomes a new product! This is interesting. 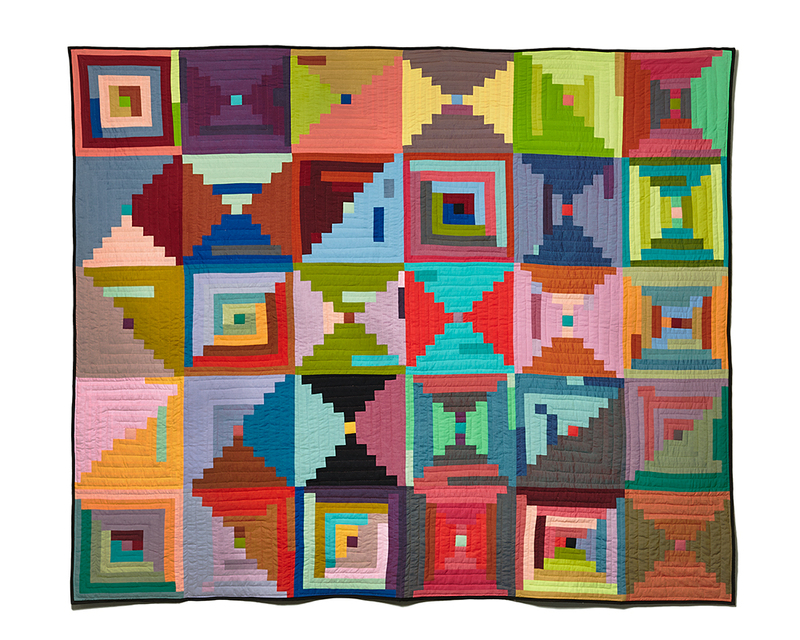 I have been researching purchasing a long or mid-arm quilting machine and most of the sales pitches were structured around “quilt for money, pay off your machine” and even included cost/benefit analysis. The majority of the people I talked with were planning to do just that – quilt other people’s quilts in order to have the machine. Years ago, when my children were small I did sew for money because we needed it. It made something creative that I love feel sweatshop-ish to me and now I only do it for love. I do, however, ponder whether a second act either as as teacher or shop owner would have that same flavor. I am so happy to have found this post, because I have begun to feel the same way. I have always had an “entrepreneurial spirit”and my parents helped foster that by encouraging me to sell whatever I made and eventually I opened an Etsy shop but really only sold fabric as supplies for other makers. Lately I’ve decided that while social media marketing and promoting businesses and developing websites interests me, I don’t really want to spend practically every waking hour doing those things in order to promote the stuff I am making and hope other people will buy it. I just want to make pretty things, stuff I like and I DON’T consider that selfish at all. Why is it selfish to do something you enjoy just purely for the enjoyment of it? Is it selfish to binge watch Friends on Netflix or go to a movie with friends? You wouldn’t expect people to pay you to do those things. The stuff I make right now, unless it’s my choice to make it for a friend, is purely for me and my family and I am enjoying the process, digging deeper into exploring color and design concepts using fabric. It’s so fun and it is the release and relaxing activity I need to take my mind off my day job which has the tendency to get stressful. I deal with deadlines all the time at work, I just want to make stuff on my own timeline at home. Thanks for sharing this! Abby, I adore your website/blog. I’ve been following you for quite sometime, lurking in the background. Creepy, huh? ???? I just wanted to tell you this post spoke (loudly) to me. As a knitting designer/author of 2 books, I find myself feeling closed in, challenged more, and looking for an out at times, so as to knit something I enjoy. For fun. Not work. Yet, the industry challenges us to come up with yet, another creative piece that hasn’t already been done. I appreciate your words, and some days take them to heart. Keep doing what you’re doing. I look forward to it. Although I’m actually trying to monetize my work through Etsy and Zazzle and other places, I strongly identify with the urge to make what and when and how we want to. I don’t see it as a barrier to making money at art/designing/crafting/making. It just means the models that are celebrated are not the models for me to follow. I don’t like to so the same thing several times, but that’s what makes me an artist, not a commercial enterprise. I don’t want to mass produce things, so I leave that to Zazzle and Cafe Press. If I want to make it myself, I will, and if I want to sell it, I will. Or at least try. That said, I am disheartened by the current trend in street fairs and craft shows that require $$$ money to exhibit and you are only allowed to bring one type of product for sale. I, and my work, defy such structure. Knowing there are so many people out there who don’t want to deal with the business end, but wouldn’t mind making a little money by selling their crafts now and then, leads me to wonder if a new avenue to market is called for. When I try to sell online on Etsy or wherever, I spend more time posting an item for sale than I often do making it, because I just don’t know what to say. “Here it is, I made it from this and that” is insufficient to meet requirements for most sites, they want tags and “what would make someone want your item” and all that nonsense. I miss the little consignment stores and the $15 tailgate/flea market fees through which many of us used to sell our things at our own pace and in our own way. Now it’s like we are expected to be brilliant at it all, and I really don’t have time to be brilliant at it all. I work to pay my bills and I make things and publish books. I think that is plenty. Why do all the “quick and easy” avenues to market for artists and crafters require so much additional effort – social media, advertising, newsletters, blogs – to make them profitable? Seems nonsensical to expect a whole company worth of effort to sell a few things now and then. If I enjoyed doing all that stuff, wouldn’t I be doing that for money instead? I have to say that I respectfully disagree. I think the ability to reach a global audience from the comfort of your own home for, in the case of Etsy, .20 cents for each listing, is pretty nifty. That’s not to say that everyone who makes art or craft should start a business selling it, but if you want to do so it’s never been easier. Yes, in theory it’s great. In reality unless you live in a very urban area uploading the files and entering the information can take up to half an hour per item, depending on how slow your internet service is. Not to mention taking the photos and deciding what to include in the information. And figuring out shipping before it even sells. And set up your shop policies, profile, etc. And then you have to drive people to your listing or pay to be featured. I’m just saying it’s not as simple or easy as it has been made out to be, and I completely understand why many creative people don’t want to spend their time doing it when they could be making something fun. I know the feeling. I have an Etsy shop and I have sold nothing in ages. I thought I could use my fabric stash to make some things to sell and have some spending money; that happened when I was adding items and keeping up my inventory somewhat. But I don’t want to have to store 100 items just so my shop will be seen. I just wanted to store less stuff overall. My camera is broken, too. It is just not worth the effort right now. I do not enjoy making to sell. I may try a local sale this year to sell some of what I have. To sell my Spoonflower fabric , I would have to do the manufacturing application. It’s very difficult to make money effortlessly. If the effort of it isn’t enjoyable, that’s a good sign that turning your crafts into a business isn’t a good idea, at least not right now. I am just now looking back through all your blog posts and like so many other folks- this one speak strongly to me. I do have a successful craft business and have written 3 how to books but I have honestly struggled with keeping it up. Actually, if it weren’t for my husband and business partner, I wouldn’t be in business, so I guess I am fortunate in that respect. I’d like to throw a spiritual/zen like twist to the conversation. It is important to make art or craft simply for the act of doing it. Not to make money, but because it is something that makes you feel good. Your brain is releasing endorphins, you are living in the moment. And I think it is important to realize that all we really have is this moment, right now, so make it count. 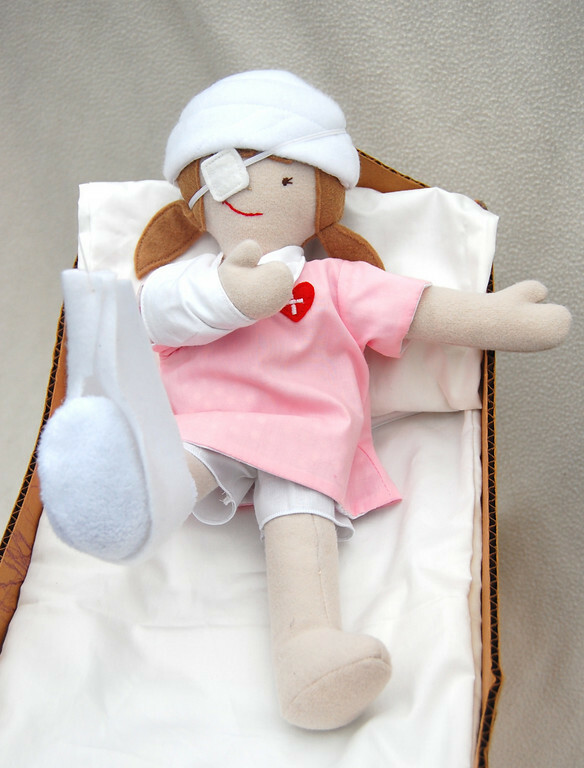 If you love making dolls, don’t feel like you have to sell them in order to justify. Do it because thank goodness you are lucky enough to be able to find self satisfaction in something simple that you do with your hands. This is one of life’s greatest gifts. Letting go of ego really helps, too. Easier said than done- it is a daily practice. Bottom line is, no matter what you create- paintings, knitting patterns, beaded bracelets, cookies, poems- the minute you decide to sell whatever it is you are creating, it is no longer about making. It is all about marketing and running a business. So your job is not artist, your job is small business owner who makes and sells. It’s a dirty little secret that isn’t shared often enough amongst creative people. Also possibly the dirty little secret a lot of creative people don’t want to hear when they are starting out selling their work. I always feel terrible when people ask me about making a living as a photographer and I have to tell them I spend more time running my business than I do running around with a camera in my hand! Totally ruins the fantasy. I tried a craft business and switched to designing patterns. Truly, I enjoy hand stitching much more than trying to make money from it. I still design sewing and embroidery patterns for a couple of magazines regularly and for an Etsy shop, but I’d rather work at the local cafe and spend my free time stitching for enjoyment than keep plugging away selling my own stuff for less than one week’s pay for a month’s work. It’s not as easy as people think it is. Hand work is my solitude and my happy place. Business can complicate that relationship for sure. I am on definitely on this bandwagon. I started quilting as a release for work stress but soon got caught up with competing and submitting designs for publications, etc. It stopped being fun and personal. Then I realized that I had strayed away from my original intent. Lately I have scaled back and enjoy it for what it is to make quilts for friends and family and it has become enjoyable once again. That’s really good to hear, Rachel. I think it’s so easy to stray from the original intent and lose the joy of what brought you to creating in the first place. Oh my gosh, thank you for writing this blog posts. I have for longest felt alone in the choice to not sell. Although I have tried, I found that I was miserable. I hated everything except those moments when I made a sale. They were so short lived too. It’s nice to know that there are other skilled makers who get borderline harassed in monetizing a craft(in my case, crocheting). I have been afraid to even write a post about it on my own blog(though no one reads it so backlash isn’t a concern) but I may do so now to share my own story. I’ve found that the people who suggest selling the most are people who know nothing or very little about selling art related things. It’s an outsider thinking it’s as easy as list and sold. I’m a little late to the party, but I wanted to thank you for this article. It is EXACTLY the validation I’ve been searching for. Just because you can doesn’t mean you should open an Etsy shop! There are so many articles and webinars and blogs pushing everyone to open up an online shop without recognizing the potential creative loss that comes with streamlining your craft. Thank you so much! This post totally resonated with me. While I don’t think that everything I make is good enough to sell, I feel pressure every time I do make something because I’m a stay at home mom who loves making all kinds of different things. And when my business came to a standstill and I did not know what to do, I started watching business podcasts, which really motivated me and I realized thanks to them in what direction I need to develop. Craft business is the most difficult to run. For every product you spend time and money and a bit of your soul, so the price is higher than of the same, but manufactured product. Not all people are ready to pay for it, so the most important thing is to find your own clients. I’m so glad to hear that this post spoke to you, Beth.